In stock -This product will ship today if ordered within the next 10 hours and 29 minutes. 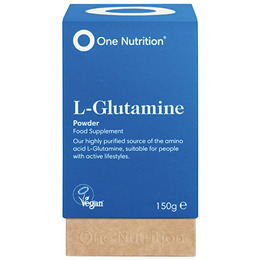 One Nutrition L-gGutamine is a highly purified source of the conditionally essential amino acid. The most common amino acid in the human body, L-Glutamine is used extensively in the intestinal wall, immune cells and muscle cells. Glutamine becomes essential during intense mental and physical stress as demand is greater than supply and the body cannot generate enough. Perform at your peak and recover more efficiently with this conditionally essential amino acid. Take 6g (2 scoops) daily, away from meals. To maximise uptake, mix in a glass of water or other low acid, low fat beverage. Do not exceed the stated recommended intake. Below are reviews of One Nutrition L-Glutamine - 150g Powder by bodykind customers. If you have tried this product we'd love to hear what you think so please leave a review. good quality for a reasonable price. Thank you! 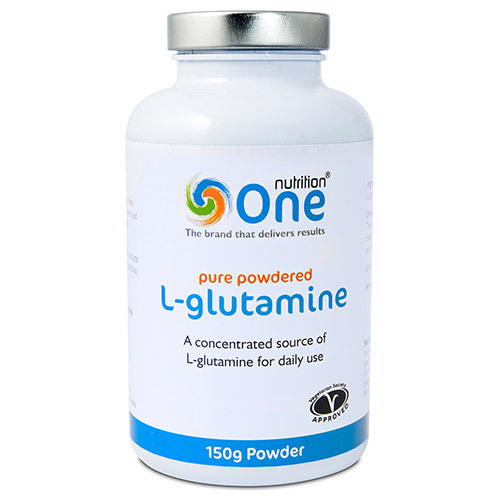 One Nutrition L-Glutamine is a highly purified source of the conditionally essential amino acid. The most common amino acid in the human body, L-Glutamine is used extensively in the intestinal wall, immune cells and muscle cells.